One of the most overlooked military arsenals in the Middle East is the Saudi Arabian ballistic missile force. The presence of this capability, in context with the specific weapon system employed, raises a number of significant questions about the potential nuclear ambitions of Saudi Arabia. Analysis of currently available imagery also suggests that ballistic missiles are not a capability which Saudi Arabia will be seeking to divest itself of at any point in the near future. At some point in the mid 1980's, Saudi Arabia chose to pursue a ballistic missile force. Friendly Islamic nations such as Pakistan did not possess a significant ballistic missile program at this time, nor did North Korea. The only other nation producing ballistic missiles which would have been amenable to an export was China. Towards the end of the 1980's China agreed to develop a conventionally-armed ballistic missile for export to the Saudis. 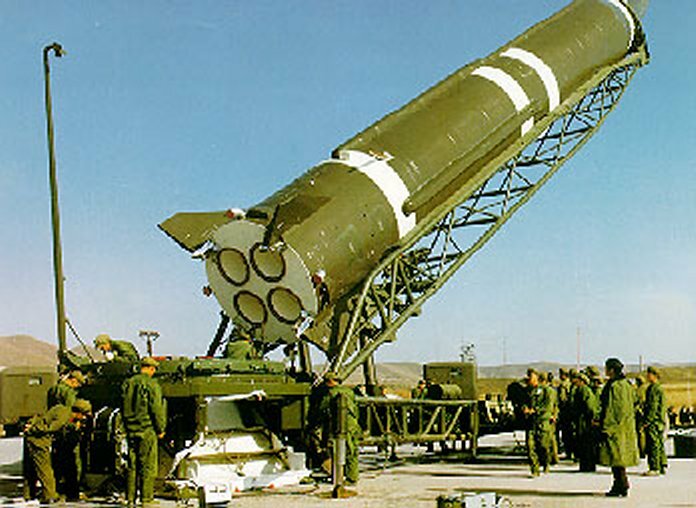 The weapon chosen for modification was the DF-3A (CSS-2) IRBM, a nuclear-tipped weapon already in service with the Chinese military for well over a decade. The DF-3A is a single stage IRBM initially developed for the PLA's 2nd Artillery Division. Entering service in 1971, the initial DF-3 variant was a nuclear-tipped weapon, representing the first Chinese-developed ballistic missile. An improved propulsion system and other refinements were introduced in the 1980's with the DF-3A variant. The initial DF-3 had a range of 2,500 km, increased to 2,800 km in the DF-3A. Maximum range capability with a reduced payload is 4,000 km, and the weapon is credited with the ability to fly a depressed-angle profile to a range of 1,550 km, providing a limited degree of anti-missile defense. The DF-3 series weapons are road mobile, but employ prepared launch sites, allowing them to be dispersed from a garrison. Preparation time for erecting and fueling the missile is approximately two hours, and the storable liquid fuel propellant allows the missile to remain ready to fire for a short period of time. The first identified DF-3A facility in Saudi Arabia is at Al Sulayyil, near the southern end of the Jabal Tuwayq escarpment. 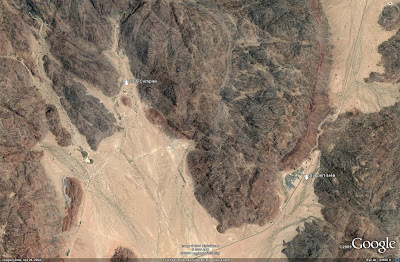 This geological feature, running approximately 800 kilometers roughly south from a location north of Riyadh, provides a natural method of concealing and protecting Saudi Arabia's ballistic missile infrastructure. The complex consists of an administrative and support facility, and a large missile base contained within a secure perimeter. The Al Sulayyil facility was first described in detail by Ronen Bergman, writing for the Israeli publication Yediot Ahronot in March of 2002. The missile compound itself is divided into three main areas: two missile garrisons with associated support facilities, and a central compound. Both garrison areas differ in their layout due to terrain constraints, but are nearly identical in terms of the facilities they possess. Each garrison area, accessed by separate entry control points within the overall complex itself, contain a garrison compound for missile launchers and support equipment, three separate bunkers ostensibly for missile and/or warhead storage, a missile handling facility for warhead mating, and a high bay garage where missiles and launchers are joined and erected for calibration before deployment. The southern missile garrison is located in close proximity to the compound's central area. The central area contains a former support area likely associated with the construction of the missile complexes, a possible launch control facility, and two bunkers. The missile garrison itself is not as expansive in the southern facility as it is in the northern facility. The reasoning behind this is not clear. Both facilities contain four identical equipment and vehicle garages and a drive through garage likely maintaining the launchers themselves. The northern garrison possesses two additional garages and a high bay garage. As high bay garages are typically employed for launcher or missile support functions, it is possible that the northern facility provides training or maintenance support for the DF-3A unit. Despite reporting to the contrary which suggests that there are numerous launch pads contained within the complex, only two prepared launch sites have been identified within Al Sulayyil. It is possible that weapons may be erected from the reinforced pads or roadways surrounding many of the facilities, but this cannot be confirmed using the available imagery. The second identified DF-3A facility in Saudi Arabia is the Al Joffer facility. 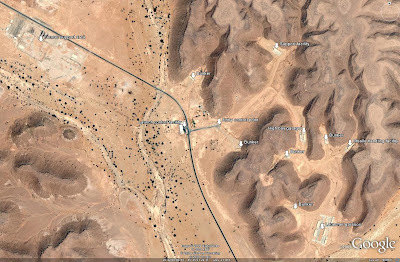 As with the Al Sulayyil facility, it is located within the Jabal Tuwayq escarpment. 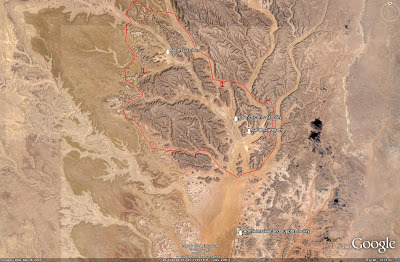 The Al Joffer facility is located closer to the northern end of the escarpment, near Riyadh. The facilities found inside of the Al Joffer facility are virtually identical to those found at the Al Sulayyil facility, consisting of an administrative and support facility, and a secure missile complex consisting of two garrison areas and a central support area. Even the missile garrisons themselves depict the same differences as those described above in the Al Sulayyil facility. Different terrain considerations than those found at the Al Sulayyil facility result in the Al Joffer facility being more expansive, with the two missile garrisons being separated by a greater distance. Apart from the distances involved, there are two major differences between the Al Joffer and Al Sulayyil facilities. First, Al Joffer only contains a single fixed launch pad, whereas Al Sulayyil contains two. Secondly, Al Joffer still contains an active support facility inside of the main complex in the central area. Given that the imagery was captured in 2004, this suggests that the Al Joffer facility was not fully operational before that date, providing a potential explanation for the lack of a second prepared launch pad. 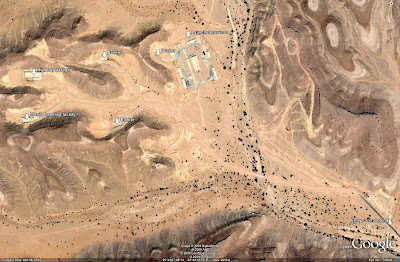 In contrast, the Al Sulayyil facility, particularly the northern garrison area, has remained unchanged in imagery between 2003 and 2007, suggesting that it was the first facility to become operational with the DF-3A. There are two potential facilities in Saudi Arabia that may serve the DF-3A force. One is located approximately 280 km west of Al Sulayyil near the settlement of Rawdah, while the other is located in Saudi Arabia's northwestern desert region. As with the previous two facilities, both of these locations are strategically placed inside of terrain features for protection. The Rawdah complex is a massive facility consisting of numerous underground facilities (UGFs) and hardened bunkers. While the true purpose of this facility is not known, there is evidence to suggest that it supports DF-3A operations in some capacity. The complex is divided into two main areas, an support area and a separate area containing the aforementioned hardened facilities. The support area consists of an administrative compound with support facilities, an underground drive-through complex, and two potential missile launch pads. The administrative compound is relatively nondescript, but the other facilities are worthy of further inspection. The underground drive-through facility is nearly 600 meters long. In most cases it could be viewed as simply a pass through the terrain allowing for easier travel, but the support area is connected by a two lane paved road with the outside area. The purpose of this large UGF may be for storage or for command functions. The latter is unlikely given the lack of any visible communications-related infrastructure atop the terrain under which the drive-through facility passes. The most logical assumption therefore is that the facility is designed for a storage purpose. The two possible launch pads are the most significant evidence suggesting that the Rawdah facility does support the DF-3A. One pad can be seen with six 20 meter long objects which match the dimensions of DF-3A towed transporter-erectors. 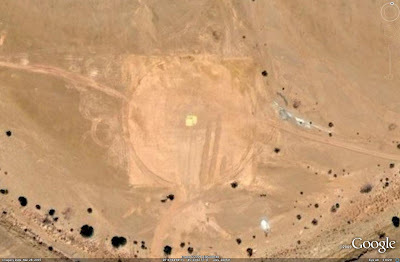 This pad is of a circular configuration 90 meters across, matching those found at the Al Sulayyil and Al Joffer DF-3A facilities. The reinforced launch pad in the center is missing, suggesting that this may be a training site. The second possible launch area consists of a concrete pad enclosed by a fence. 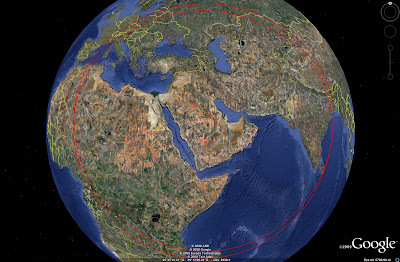 While this potential launch site differs in configuration from those positively identified at Al Sulayyil and Al Joffer, its dimensions would allow a DF-3A to be erected and fired. The remaining facilities at Rawdah are concentrated to the northwest of the support area. This area contains numerous bunkers and UGFs, as well as two potential launch areas. 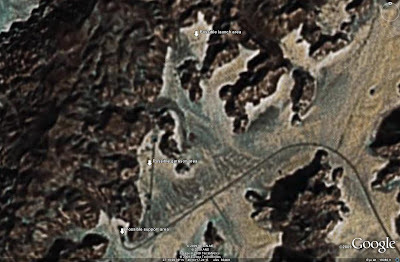 The launch areas consist of a hardened pad and an extension of a roadway, locations similar if not to the circular launch pads favored by the operational garrisons, then certainly to those employed by the Chinese 2nd Artillery Division in association with certain missile types. As Chinese technicians are reported to have aided in the construction of Saudi Arabia's DF-3A facilities, it is possible that various launch pads were incorporated for evaluation. The numerous underground facilities suggest that while Rawdah may have a DF-3A support function, it likely serves other purposes as well. Precisely what is contained inside of the facilities is again not conclusively known, but some educated guesses may be made. As with the drive-through UGF to the southeast, no evidence of significant air circulation or ventilation is visible, suggesting that the various bunkers and UGFs are not intended for continued occupation. This suggests that the facilities are primarily intended for storage. 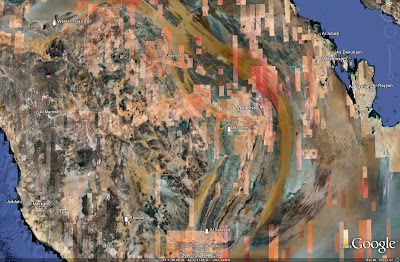 What precisely is stored in such an isolated and expansive facility is a matter of speculation. The answer may be tied to the location itself. The Rawdah complex is located in the southwestern quadrant of Saudi Arabia, the furthest distance from past and present potential aggressors such as Iran, Iraq, and Israel. This would make the Rawdah complex ideally suited to serve as a large-scale ammunition storage facility. 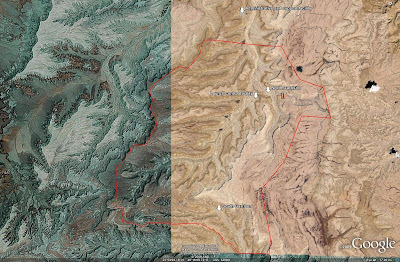 Dispersal of the ammunition would likely be performed by air out of the Bisha airport 120 km to the south. Transportation via road is also possible, but unlikely given the distances involved and potential security concerns. It is likely that DF-3A components stored in the facility have already been dispersed. The facility was imaged in 2004, when the Al Joffer facility may not have been fully operational as described above. The Rawdah facility's DF-3A support function may have already been terminated with the dispersal of components to Al Joffer. It is possible that DF-3A missiles may still be stored at Rawdah, and that the launch facilities may serve as the training complex for Saudi Arabian missile crews. One final location has been identified that may potentially house DF-3A related facilities. 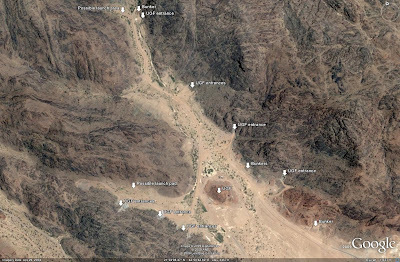 This location is only visible in low resolution imagery but does share two of the identifiable characteristics of Al Sulayyil and Al Joffer: it is contained within significant terrain, and it is isolated from major population centers. 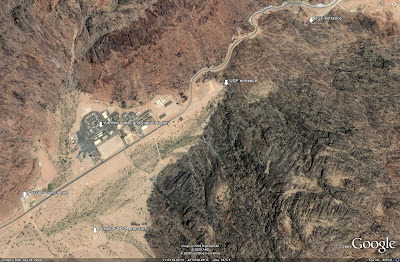 This facility is also located much closer to Israel, a potential target for the Saudi DF-3A force. 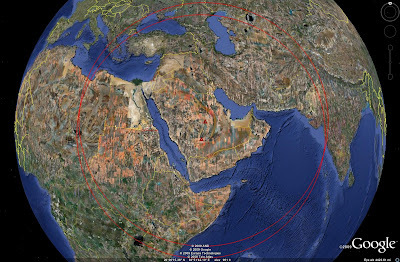 From their garrisons at Al Sulayyil and Al Joffer, Saudi Arabian DF-3As can range targets as far away as India and western Europe when employed to their maximum range of 4000 km. Much of Africa falls within range as well.